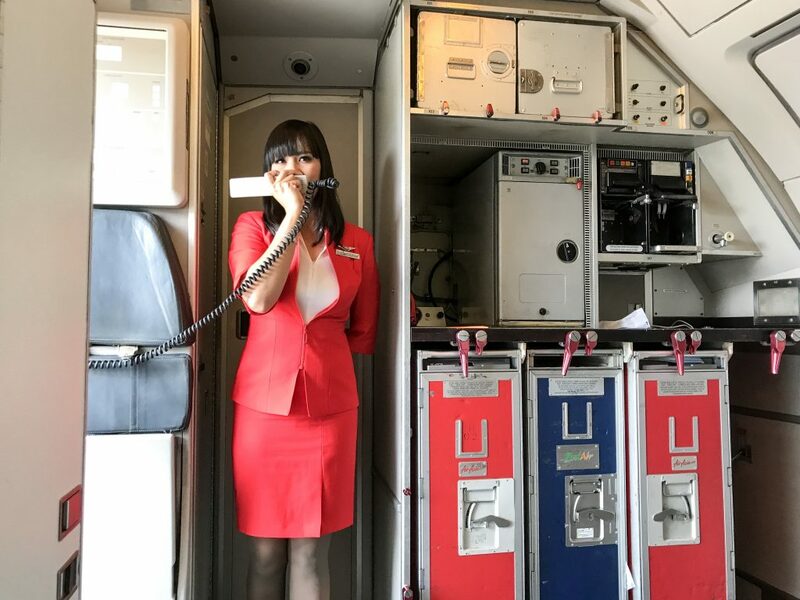 In an effort to stretch the vacation budget to the extreme, we travelers often go with budget airlines. This usually leaves us with very few dining choices when we’re in transit. Indeed, the stomach isn’t usually the happiest when soaring several miles in the sky. If it’s not instant food or overpriced fares from airport concessionaires, it’s often bland set meals in-flight. 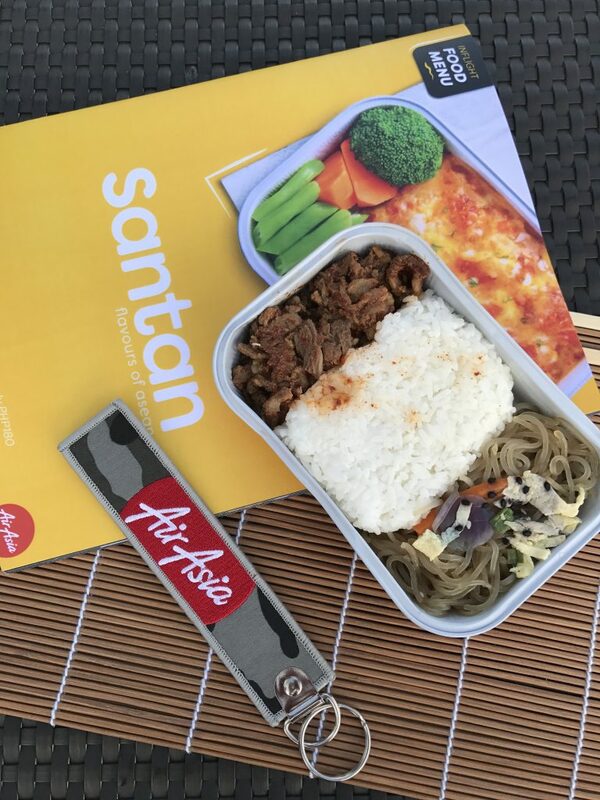 This is why it’s a pleasure when a budget airline like AirAsia announces a new offering specifically geared towards its patrons’ gastronomic delight. 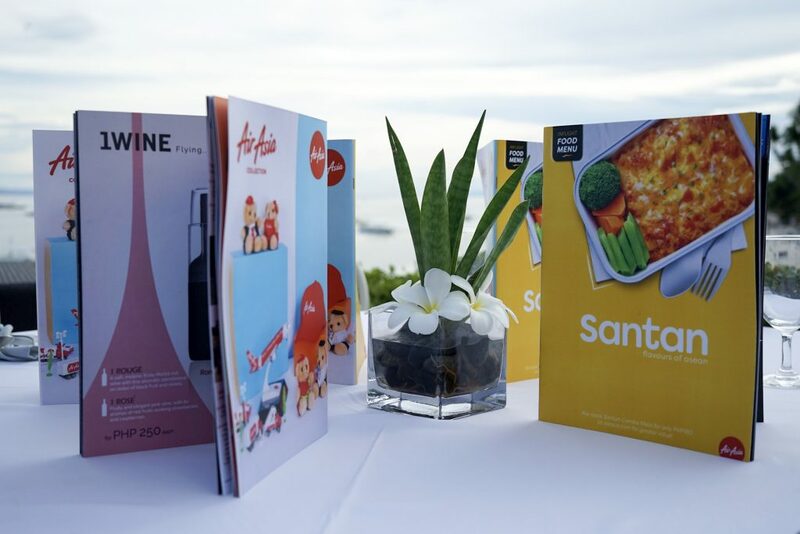 Air Asia launched it’s “Santan in-flight menu and catalogue” in a media event held in Amorita Resort, Bohol. The menu is named after the coconut milk (a common ingredient in many Southeast Asian cuisines), and showcases interesting flavors from different parts of the region. It has a mix of hot meals, healthy choices, a variety of snacks, beverages, and even gift items and merchandise! 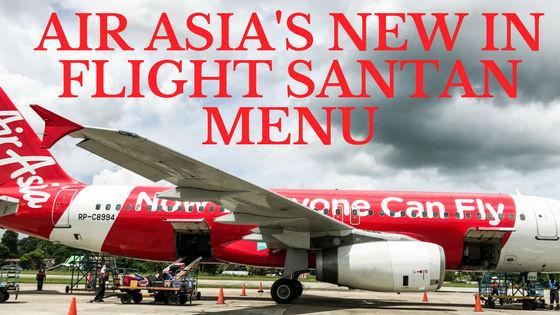 We sampled the menu during our flight from Manila to Bohol. 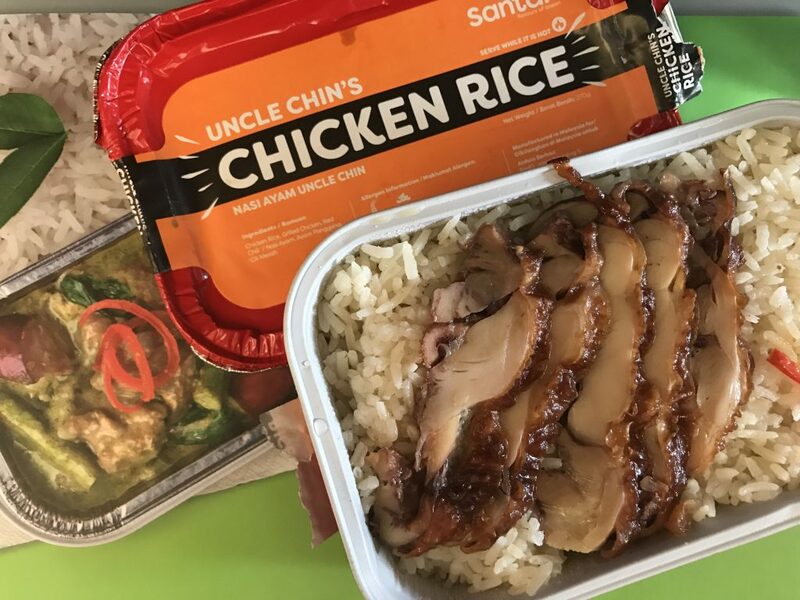 During the flight, we were served with what they dubbed “Uncle Chin’s Chicken Rice”. The was inspired by the popular dish sold in Singaporean food stalls. The AirAsia take had rice topped with roast chicken slices, with a flavor packet of chili, ginger, and garlic sauce. It made for a really flavorful meal, and the way the ginger mixed with all the other tastes was good. The portion was also hefty enough for a filling meal. 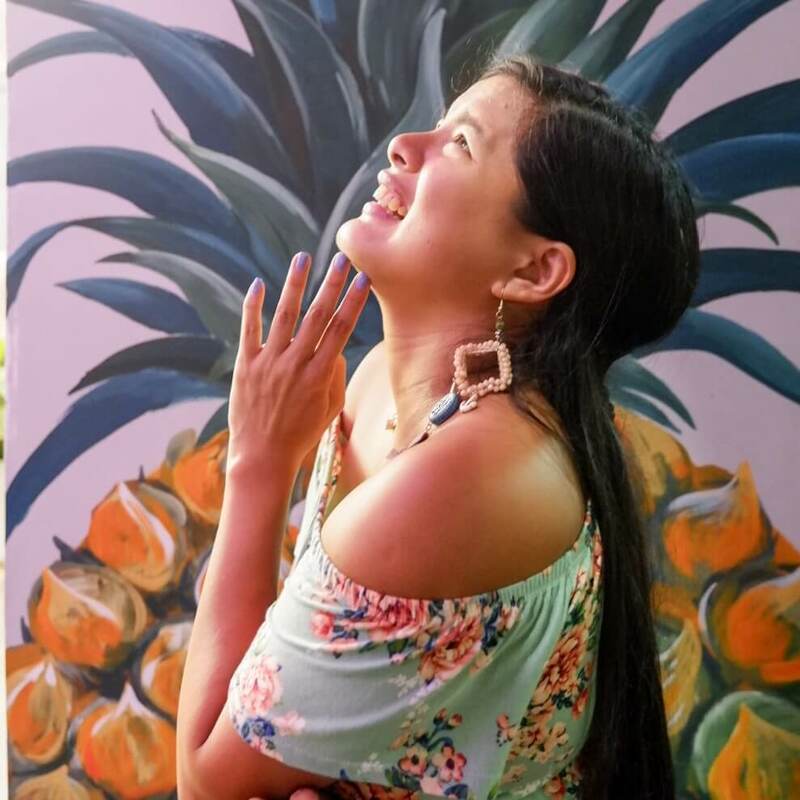 We had another taste of the Santan menu when we arrived at Amorita. A certified crowd-pleaser was the “Pak Nasser’s Nasi Lemak”, which had the perfect spicy kick. This is a Malaysian dish consisting of rice cooked in coconut milk and pandan, and served with chili paste, cucumber, a hard-boiled egg, and anchovies. It’s a great mix of flavors! I love spicy food, and it’s particularly awesome that they’re able to cook this up for in-flight meals. The rendang chicken and its sauce has the caliber of restaurant food. 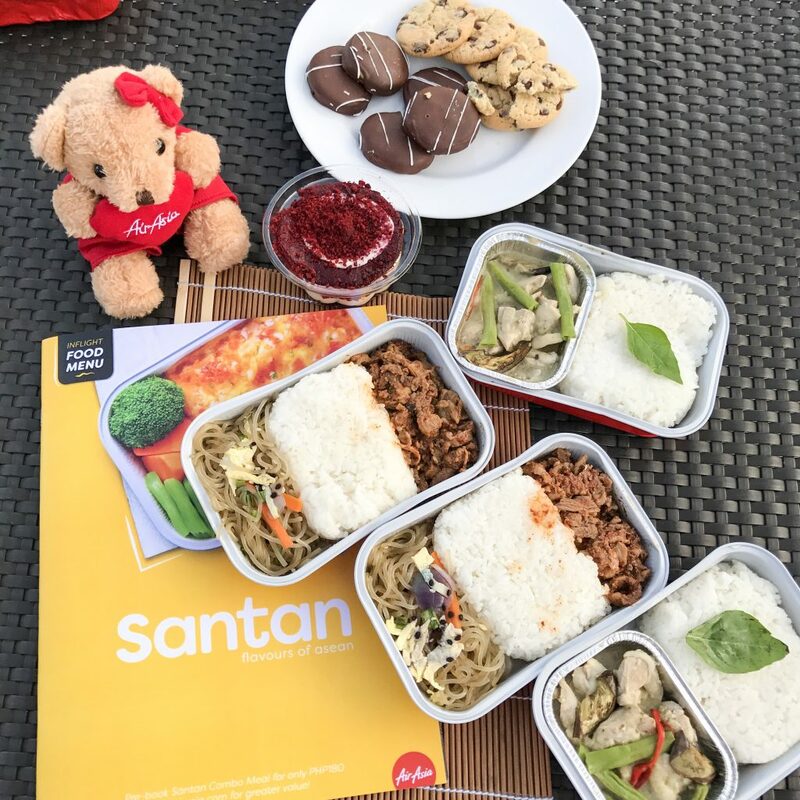 It’s so famous with AirAsia’s customers that some order two pre-booked meals, taking the other home with them! For those who love Korean food, there’s also something for you. The airlines also serves a mean Spicy Beef Bulgogi, served with chapchae! The stir-fried beef was a combination of sweet and spicy, and worked perfect with the glass noodles. The meal was also served with rice, so if you are trying to go slow on the carbs you might find this a little much. 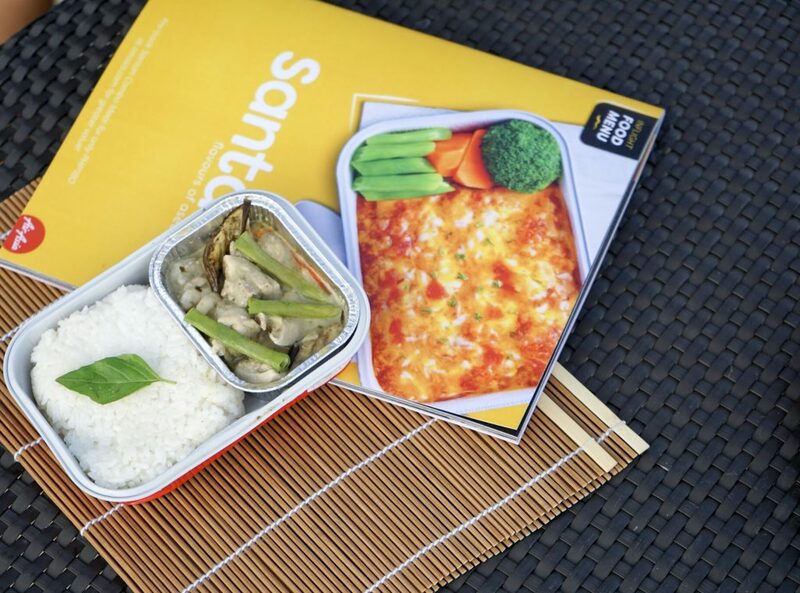 Fans of Thai food would also have their share, as the Santan menu also features Thai Green Curry. Instead of being a mere imitation, the meal has real Thai spices such as kaffir lime leaves and basil. It’s not very spicy, so everyone can enjoy it. Of course, how could they forget Filipino fare? Those longing for a taste of home can try the Chicken Adobo. It would be interesting to introduce travelers to this dish, which is complete with potato wedges. The desserts have less of an Asian flavor, but they’re still great for snacks. There’s a delectable chocolate meringue, which has just the right sweetness. We were snacking on this throughout the flight! There’s also those chocolate cookies with mint fillings, as well as cups of red velvet cake. For those looking for a more savory snack, there’s the classic Chicken Lasagne, served with steamed vegetables. This is also perfect for those looking for a healthier option! 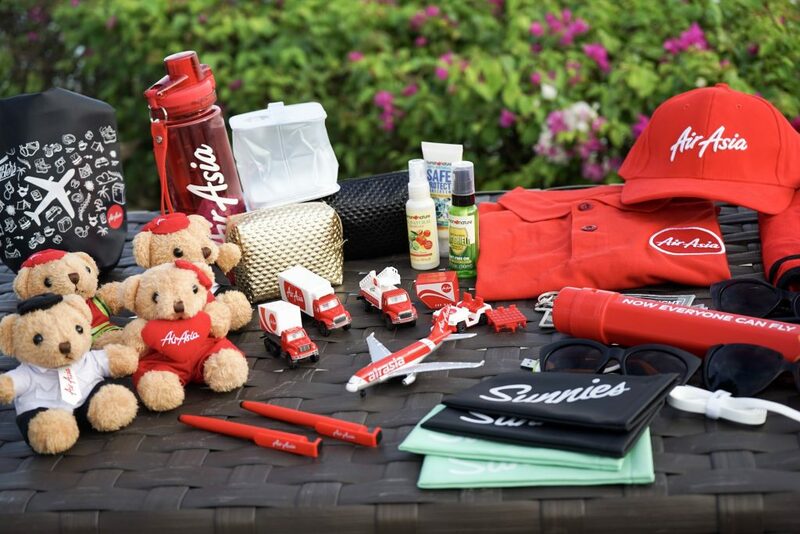 Perhaps the best part here is that AirAsia offers all these at affordable prices, in keeping with their name as the World’s Best Low Cost Carrier (a title they have held for nine consecutive years). The ala carte meals cost only 150 Php, while combo meals (with drinks and a brownie) are at 180 Php. 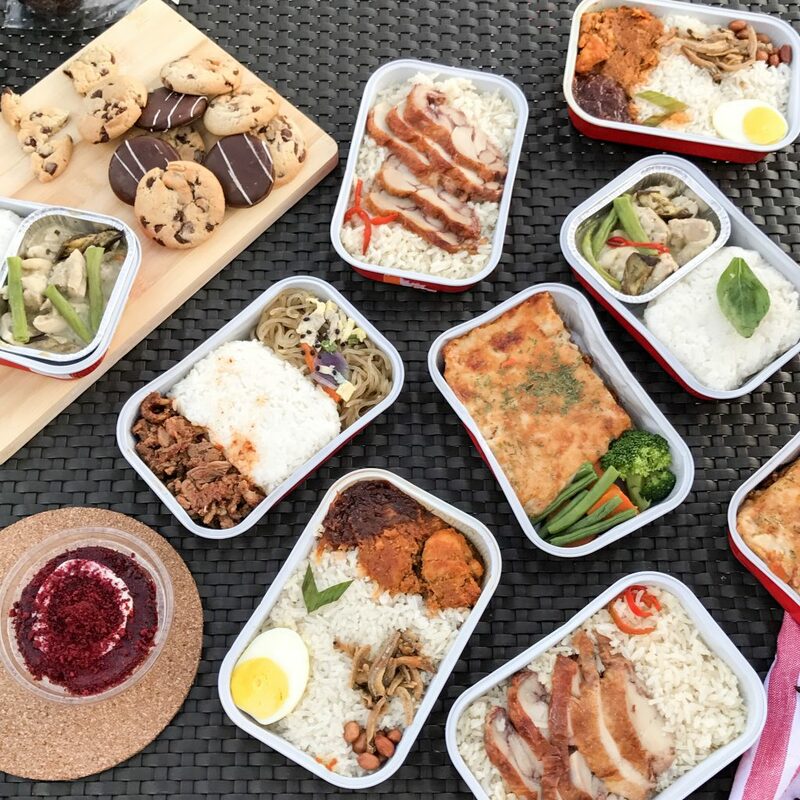 These can be pre-booked online, so that guests can be sure their meals are available during the flight. Pre-booked meals will also enjoy priority service. Aside from food, those who wish to take home a souvenir can also avail of the catalogue’s array of gift items. There are travel essentials such as dry bags and water bottles, and even toys (plushies!) and other novelty items. There are even sunglasses from Sunnies, and USB cables! 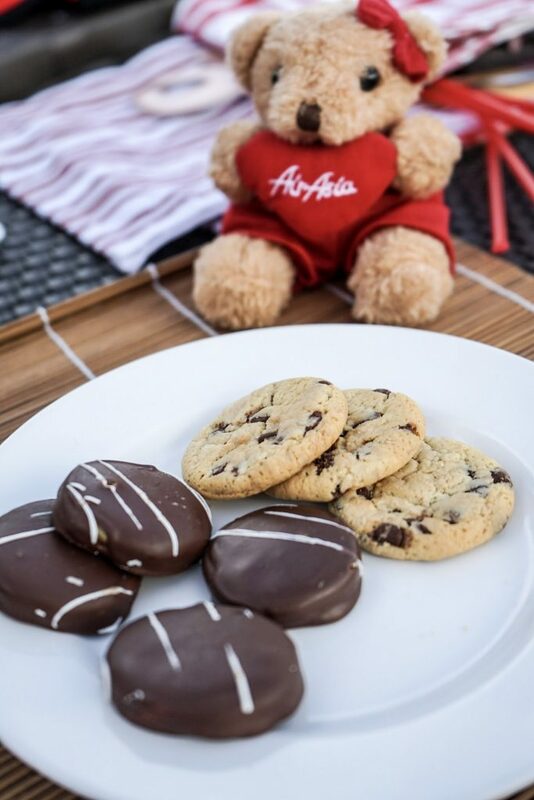 AirAsia is rendering obsolete those days when we have to wait until the destination to eat a hearty meal. 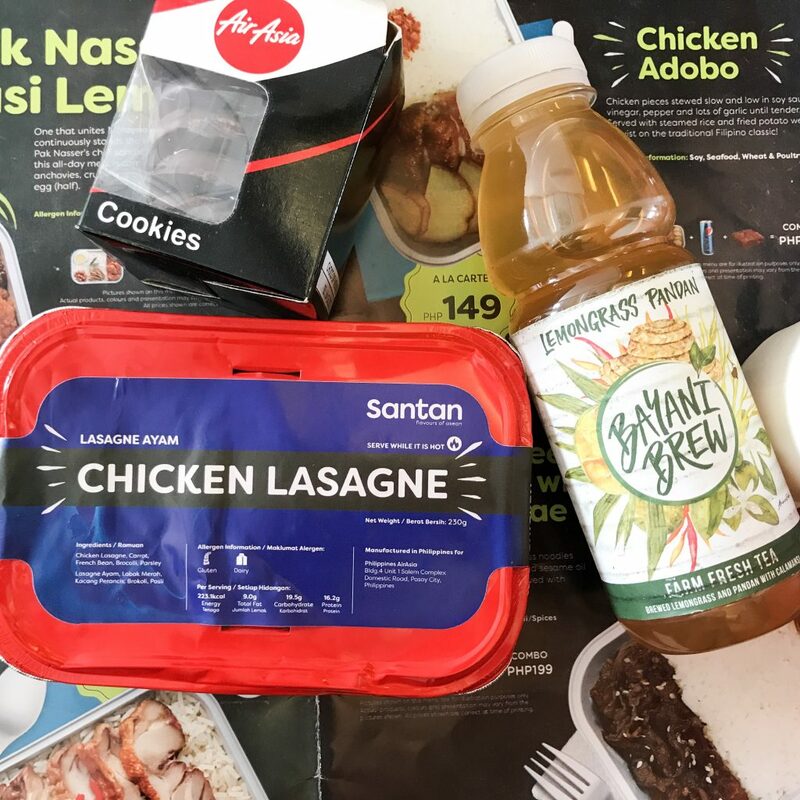 With these prices and the level of quality and affordability the Santan menu offers, I would definitely pre-book all my inflight meals! I would even book more, just to eat it for later. That Nasi Lemak is just too good to resist! I know, especially with all these delicious meals right ? :) I would really love to fly.